I’m trying to create multiple holes on a inward chamfered surface, but its not letting me. When I create a number of holes in a radius on the chamfer, they lose their full circularity…they become broken. 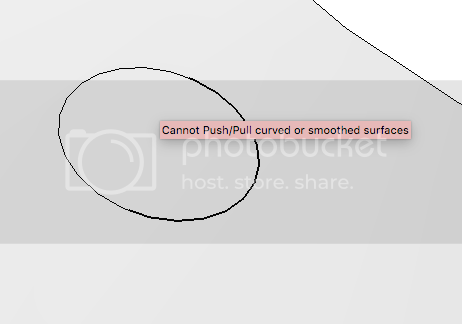 If I try to push one to create a hole, it gives me a error. Could you upload what you’ve got? It’ll be easier to tell you how to correct it or draw it if we can see it. I didn’t catch that those last two words are links to screen shots. The trick for this sort of thing is to draw a “drill” and use it to intersect the part. I’ll make an example for you. Hang tight. Or loose. I did this. Hopefully it makes sense. Back left, cylinders drawn. I drew one and Rotate/Copied to get the rest. Working centered on the origin makes that easier. I reversed the faces of the cylinders so the face orientation in the holes would be correct. I use green for my back face color. Then Select it all and run Intersect Faces>With Selection. Delete the unneeded parts of the drills and the faces skinning the holes. I looked at your model. 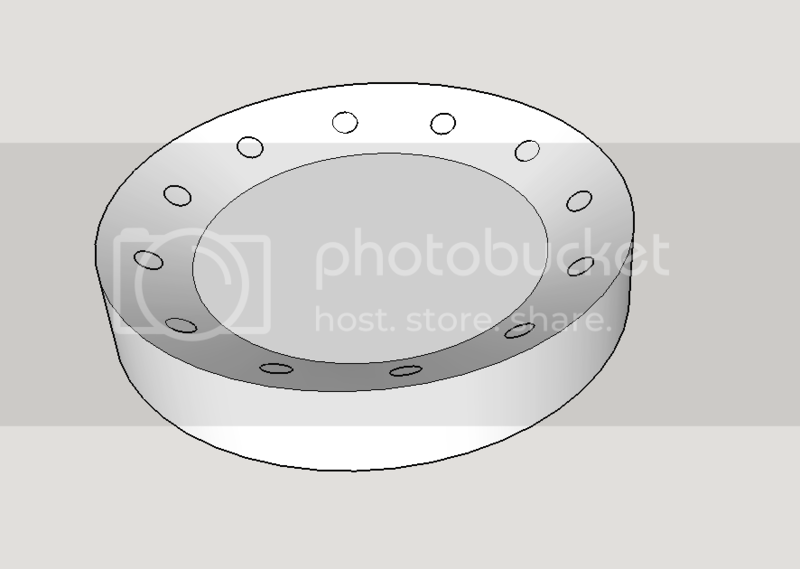 Is the radius of the desired holes correct at 1.588608mm? Hmm. That’s a reasonably close approximation to 1/16 inch? Hello! Here’s another approach by me. That was just a quick example of what I’m trying to do. I’ve got a part already built, but just needed to know how to do it, since nothing else was working…but the holes are around 1/8 on the part I’m working on. This looks awesome, but the problem is, circle was constructed of 80 faces…I wanted it as round as possible. Otherwise I would’ve done it that way. I’m going to give this a try…thank you so much for the help!! You’re welcome. I would have shown the way VahePogossian did except I figured you’d want smoother surfaces on the dial. The basic process I showed will work for other things, too. Good luck. Not to mention that can not push/pull thru curved surfaces. Best bet is to do as mentioned and make a ‘drill’. Ive used this technique many times and have yet to find another solution. But, if I recall correctly, there is a plugin that can do this. Sadly, Ive forgotten the name… perhaps someone else will chime in with the name. Joint Push Pull works… but the drill idea is more simple to use. Another of Fredo’s that could be useful here is Visuhole. Mind you, Dave’s option is usually the most accurate. Oh wow, I have some of his tools, but not that one…thank you!